Gorgeous new build, completed May 2018 and only lived in for a few months! Huge windows w/ pastoral views of trees, horses, and mountains. Catch a glimpse of Sugarloaf Mtn from a bedroom! 3 bed, 2 1/2 bath home on 3.56 acres w/ huge full basement w/ egress windows and potential legal 4th & 5th bedrooms, rough-in for full bathroom and kitchen. Large attic space could convert to bedroom/playroom/office. Open concept design, main level living, w/ kitchen aid appliances, Hallmark wide plank flooring, white brick fireplace, modern designs including trough sink, free standing tub, walk in rain shower, built in cubbies and sliding farmhouse door in laundry room and pantry!! Large (9 foot) quartz island and tongue and groove ceiling in kitchen, vaulted ceiling in great room, Hardi vertical plank siding. Marble floors in bathrooms. Bring clients who want new construction or resale, builder warranty util May. Owned propane tank nearly full. Room for pool/horses! 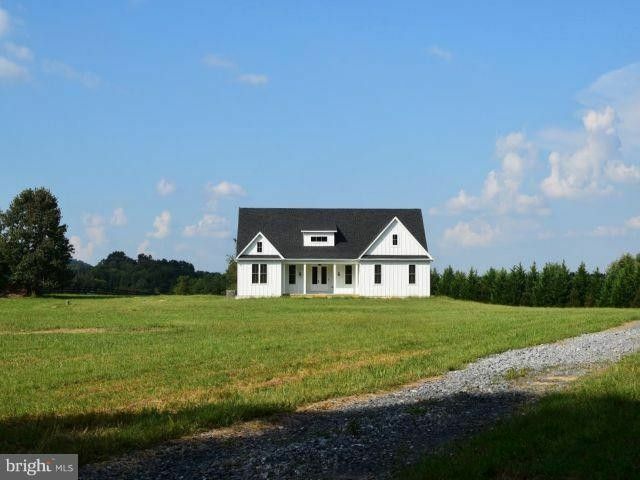 Serene country living minutes from Leesburg shops and restaurants, Morven Park, Premium Outlets.!! !